How to add new contacts to iPhone? 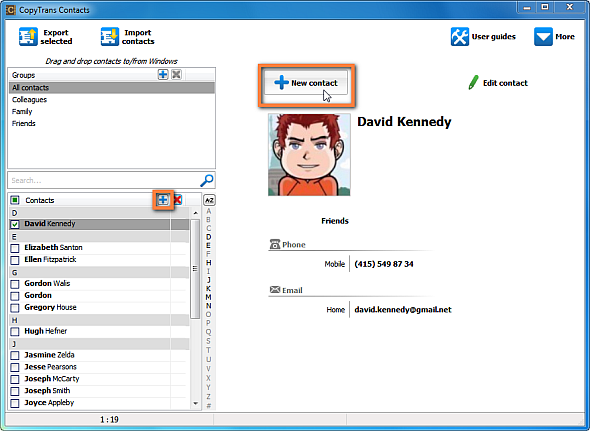 Home » How to add new contacts to iPhone? 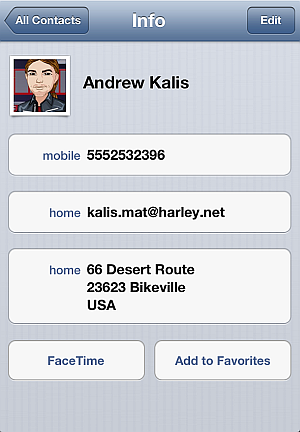 You can easily add new contacts to iPhone using CopyTrans Contacts. Follow the guideline below to learn how to create new contacts on iPhone. Run CopyTrans Contacts and connect your iPhone to computer. To create a new contact directly on your iPhone, click on the “New contact” button or on the small “+” button on top of your contact list. 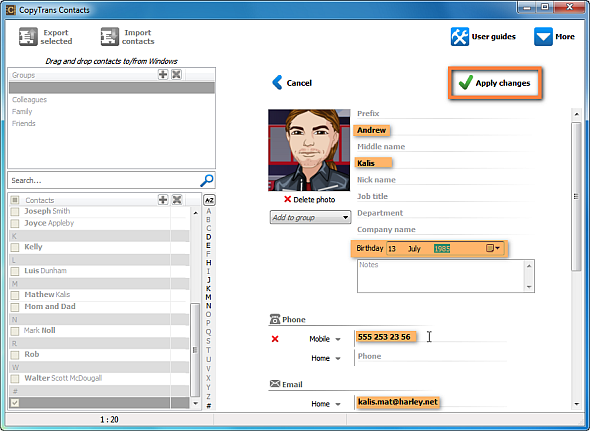 Start adding details about the new contact entry. Once finished, click on the "Apply changes" button to save and add the new contact entry. The new contact will appear directly among the rest of your iPhone contacts. Note: If you already have a contacts file on your PC, you can add those contacts to your iPhone by referring to this article: How to transfer contacts to iPhone?